Bridgedale's MerinoFusion Summit Socks for men are designed for extreme comfort in the extreme outdoors. Bridgedale's MerinoFusion technology wraps merino wool fibres in CoolMax fibres for supremely warm, dry feet. Merino wool is a completely natural fibre, and has many benefits over similarly insulating synthetic products. For starters, many find synthetic materials irritate their skin. 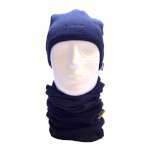 Merino wool is soft, lightweight and breathable, and far less itchy and irritating to skin than ordinary wool. 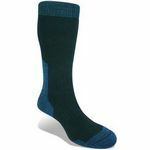 Another great feature of the merino wool found in the Summit Socks is that it is antimicrobial. The fibres deter bacteria and reduce odour due to sweat…perfect for walking socks! By combining CoolMax fibres with merino wool, Bridgedale incorporate great wicking properties into these socks. This means that perspiration is drawn away from your feet to keep them dry and warm. The MerinoFusion Summit Socks are thick and warm, making them perfect for cold weather or long walks where comfort is a priority.